Moody’s, the credit rating agency, has downgraded the United Kingdom’s triple-A credit rating to AA1. This is hardly surprising and is a direct result of two things: Gordon Brown’s monumental mess he made of the British economy before he was booted out of office in 2010 and Chancellor George Osborne’s complete inability to get a grip on the economic collapse he inherited from Labour. Three years into the Coalition, we are now at the tipping point between these two reasons and today the blame for the economic woes of our country should be firmly laid at the door of the current occupier of Number 11 Downing Street. George Osborne for reasons I am not fully aware has decided to do almost nothing to reduce the deficit and more importantly, for the future of our children and grand children, completely nothing to reduce the debt pile which now stretches from the Earth, past the moon and into deep outer space (if it was paper notes stacked on top of one another!). 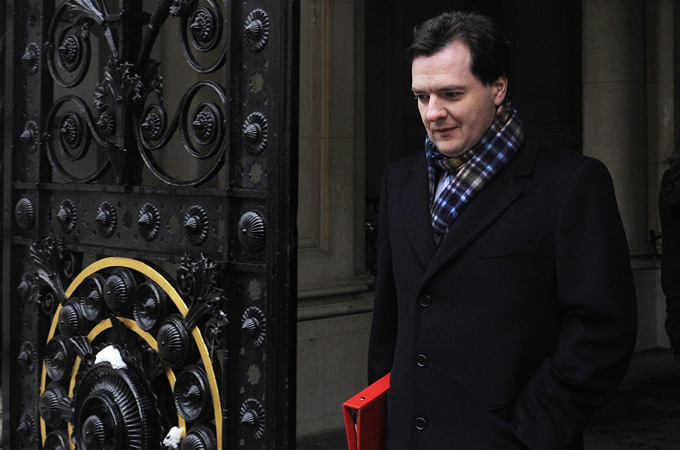 Chancellor Osborne blames the Liberal Democrats for not allowing him to cut faster and deeper. He blames Europe. He blames the last government (although he is right on that one – up until the Moody’s announcement). Actually, the reason we have lost our triple-A credit rating and the reason it will cost you and I more to go on holiday (if you are lucky) is because George Osborne does not have public spending under control and has instead pretty much followed the trajectory Labour’s Shadow Chancellor Ed Balls would have taken and borrowed billions more on the international money markets. By the time of the next General Election, Mr Osborne will have borrowed an additional £600 Billion taking the national debt north of £1 Trillion. It has got to the point where the interest payments alone may mean we will never pay the debt off unless drastic measures are taken – and that means cuts, cuts, cuts. The Left bang on about how the Coalition Government is making savage cuts but in reality Dave and George have dented public spending with a little pin prick: a grand cut of 1%. We were promised a bonfire of cuts by David Cameron, a holocaust of cuts. This would have saved us from the high taxes we will undoubtedly be paying for years if not decades ahead and the stagnant growth which comes with such an economic policy. But we haven’t had any of that. You knew the game was up, even before Moody’s made their announcement on Friday, when Liberal Democrat Dr Vince Cable (a sinister looking man if there ever was one) stated during Thursday’s BBC Question Time that he was happy with the economic policy of George Osborne and agreed with David Dimbleby the Chancellor was being Keynesian in its approach to the fiscal woes of the UK. Keynesian economic theory is beloved by the Left. I thought Peter Hitchens on the same programme had it spot on when he said of course no politician would get elected on a platform to cut NHS spending but it didn’t matter because sooner or later politicians will be forced to cut public spending, including the NHS. We can’t continue printing and borrowing money for ever. We’ll have to shrink the state drastically and, ironically, George Osborne is making this more of a permanent certainty. Categories: economy, Politics | Tags: debt, economy, George Osborne, Moody's, NHS, public spending, triple-A credit rating, UK | Permalink. Heckuva good job. I sure aperacipte it.